Recently one of our clients requested a feature to add secondary title to WordPress posts and pages. It is a great feature. It allows you to add an alternative title (or sub-heading) to your posts / pages. Or you can simply use this feature to add a tagline to your posts / pages. It comes in handy to explain the purpose of the post (or the page). Having a secondary title is also a good idea from on-page SEO point of view. While you can include the main keyword(s) in post title, you can use LSI (latent semantic indexing) terms in secondary title. This helps in making the piece of content relevant and contextual to user intent. This feature is neither available in WordPress nor Genesis by default. So, here’s a nifty WordPress plugin, which enables you to add secondary title to your posts, pages and custom post types — Secondary Title by Kolja Nolte. This plugin comes with a rich set of options to make it really simple and easy to add sub-headings / secondary titles / taglines to your posts & pages. 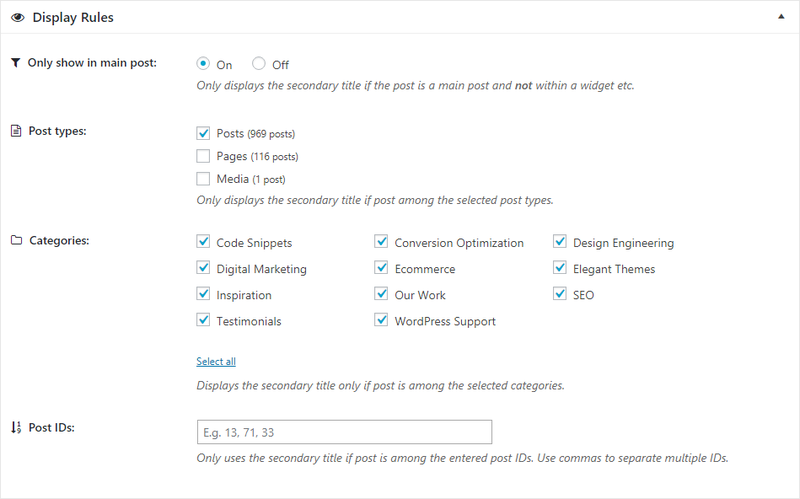 Install Secondary Title plugin via WordPress dashboard or FTP and activate it. Once you activate the plugin, you will be able to view a text input field below the main title on WordPress page / post edit screen. Once you have activated the plugin, go to Settings > Secondary Title and configure the plugin settings. It allows to define the display settings; both in admin area as well as for website front-end. You can also specify whether you want to make the secondary title searchable. 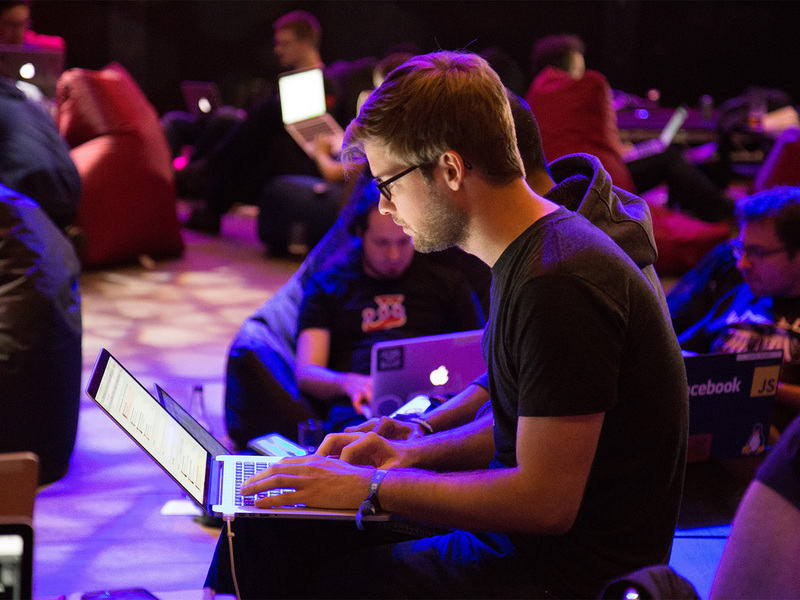 General Settings: To specify the format for the title with secondary title and whether the secondary title should be automatically inserted with the standard title. By default plugin automatically displays secondary titles. Turn off “Auto Show” and manually hook the secondary title after Genesis Entry Header. Refer Step Three for manually inserting / adding the secondary title to your Genesis child theme. Display Rules: To have a finer control on display of secondary title. You can select the post types, categories and specify the post IDs where you want to use the secondary titles. You can update these settings as and when required. Miscellaneous Settings: Here you can specify if you want to make your secondary title searchable, set the position of the input field on post / page edit screen (above or below WP standard title) and where would you like to add the admin column on WordPress posts / pages screen. One of the best features of this plugin is that it allows you to manually output / add the secondary title to your theme. This enables you to have a better control over the style and formatting of the secondary title. Reference: Here’s a quick tutorial on how to edit functions.php in WordPress.